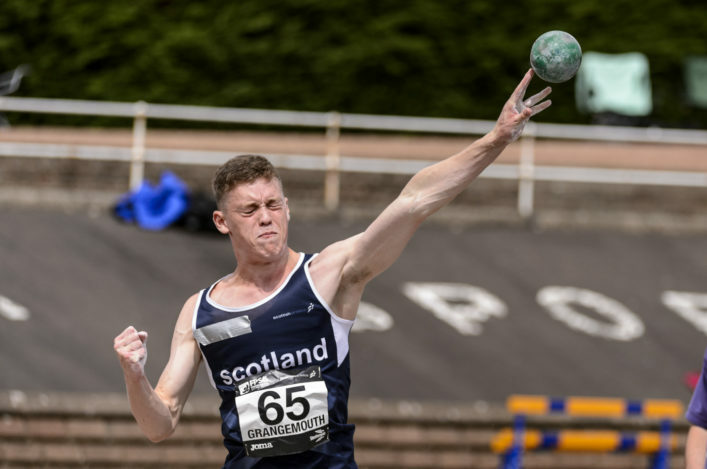 Joel McFarlane went into the FPSG Combined Events Champs at Grangemouth looking to see if he could better his Scottish U20 Record in the decathlon. And the Arbroath and District AC teenager achieved exactly that with a superb collective effort over the two days to top the 7000 points barrier with 7038. Subject to the usual ratification procedures that will push on the 6625 tally that Joel himself had set at Bedford back in May. Among the fine performances this time was a long jump PB on Saturday of 7.33m. Well done to Joel, his family and coach/dad Ian and indeed to our other Combined Events medallists in various age groups over the weekend. In the U13 age group, Stroma Fraser of Inverness set an age group Pentathlon Record with 2805 points. If that was the highlight in terms of performance, then the commitment displayed by Scottish athletes of all ages is a constant factor on such occasions at Grangemouth. 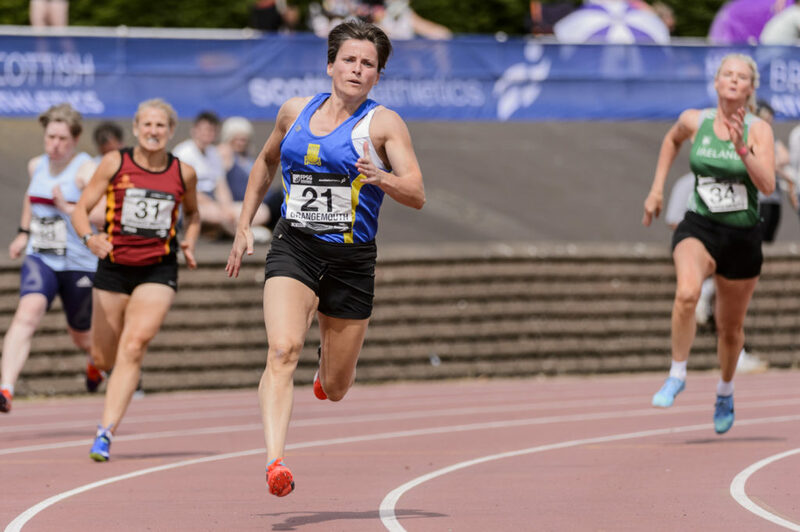 At the Masters, we noted a North Uist AAC vest as Margaret MacRae collected a couple of sprint golds after racing 100m and 200m. Was it a worthwhile journey? ‘As it happens, I live in Orkney but compete for North Uist because I am originally from Benbecula,’ explained Margaret (pictured above, blue vest). ‘I started in athletics at 24 and my husband, who is a Masters athlete himself, told me I would love it when aged over 35. I am 37 now and I really enjoyed competing here today after being injured on a couple of occasions. ‘Yes, it is a long journey and people who run longer distances and travel from the islands for races find it hard to understand coming all that way for two short races. But I tell them: the sprints are maximum effort, full out, and I love it. Hugh McGinlay as seen some changes in his 40-odd years in athletics in Scotland. 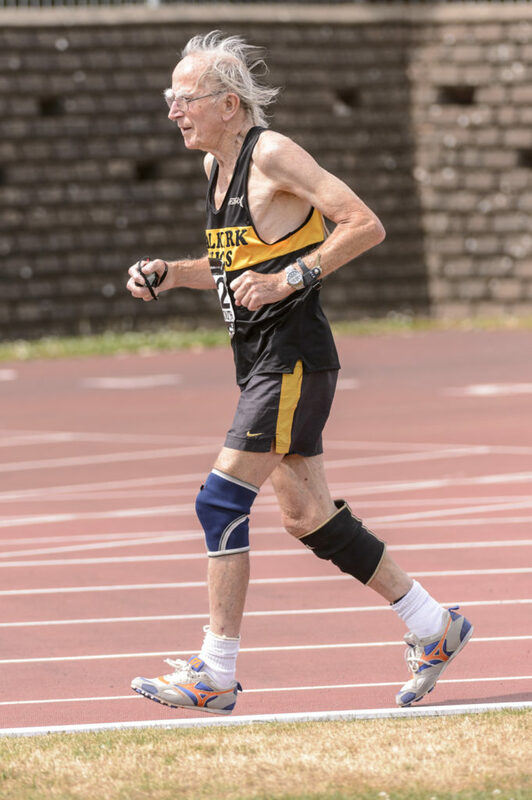 The Falkirk Victoria Harriers Masters athlete is 92 and still enjoys taking to the track more than four decades after he ran the Glasgow Mararathon at 56 back in 1982. It was a pleasure to chat to Hugh on Saturday and the reception for him after completing his 800m was warm and generous from all at Grangemouth. ‘I ran the marathon when I was 56 but I had a squash injury at the time and virtually did it on one leg,’ he recalled. ‘I did it in four hours five minutes and I thought: what could I do if I was fit? I have a PB of three hours 23 from aged 60 and I was really competitive in my age group in my early 60s. As Hugh was chatting, European U18 1500m champion Kane Elliott walked by, wearing his GB kit shorts from Hungary. There are 75 years or so between them but in many ways both reflect well on Falkirk Vics and the sport in Scotland. Thanks to all those who entered the FPSG Combined Events and Masters Champs – where we have seen entry numbers rise year-on-year for the past three or four years. We were also pleased to stage an open graded steeplechase event on Saturday followed by hurdles on Sunday. This fits with an event specific approach embraced by scottishathletics to try and help develop different disciplines and indeed the performances over the weekend will be added into the Event Specific Series GP overall tables. There’s a special page on the website for the Event Specific Series and it is up-dated from time to time. 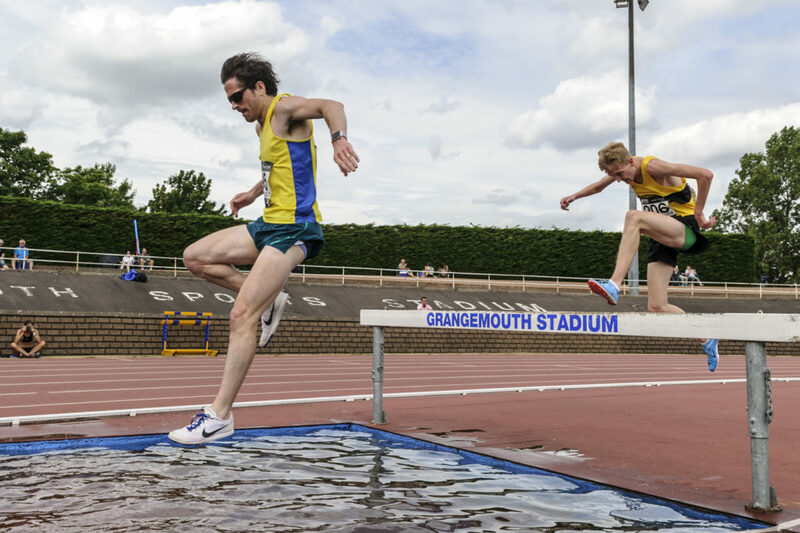 Finally, many thanks to all the scottishathletics Officials on duty at Grangemouth over the weekend: once again – we couldn’t do it without you!